Summer breezes… an intimate courtyard… free parking… and great music. Escape to Culver City for the 2018 Culver City’s Boulevard Music Summer Festival. Boulevard Music presents 6 free concerts on Thursday evenings at 7 pm from July 12 through August 16 in the palm-lined Dale Jones Courtyard of Culver City City Hall. Also become an entry level sponsor by purchasing one of the 100 premium reserved seats at $10 each per show available at Boulevard Music starting June 20. Tickets may be purchased at Boulevard Music in person or over the phone and probably will not be available online. 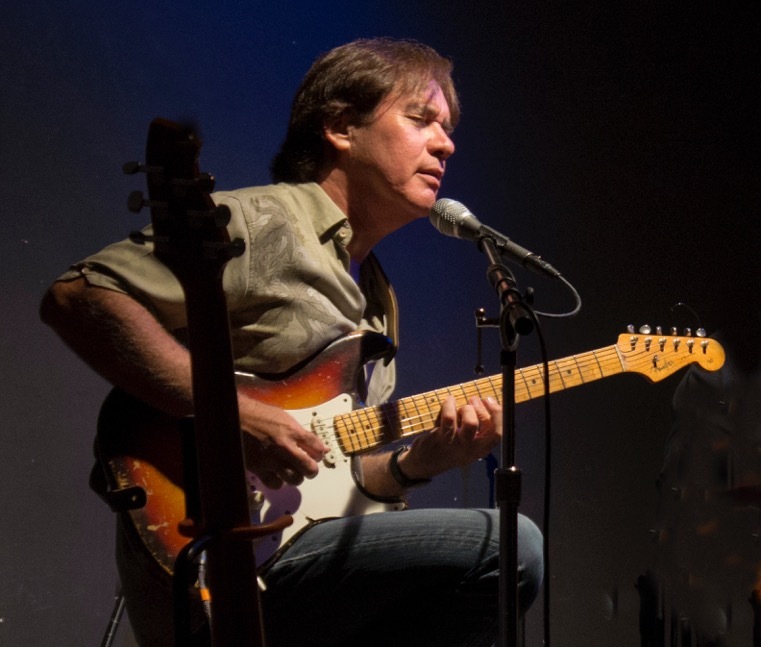 Tonight we feature the Carl Verheyen Band with special guest John Jorgenson. Carl Verheyen in his 40-plus years of playing the instrument has created a wildly successful, multi-faceted career. He is a critically acclaimed musician, vocalist, songwriter, arranger, producer and educator with fourteen CDs and two live DVDs released worldwide. Carl is commonly regarded as a guitar virtuoso capable of playing any style of music with remarkable mastery and conviction. He has been one of LA’s elite “first call” session players for the past 25 years, playing on hundreds of records, movie soundtracks and television shows. Verheyen has graced the pages of countless industry publications and been the subject of numerous articles chronicling his rise to the forefront of the modern day guitar scene. Carl has won numerous polls and musical honors in the US, Germany, France, Italy and the UK. John Jorgenson born July 6, 1956 in Madison, Wisconsin, is perhaps best known for his guitar work with bands such as the Desert Rose Band and The Hellecasters. Jorgenson is also proficient in the mandolin, mandocello, Dobro, pedal steel, piano, upright bass, clarinet, bassoon, and saxophone. John Jorgenson, known for his blistering guitar and mandolin licks and mastery of a broad musical palette, has earned a reputation as a world-class musician, as evidenced by his collaborations with Earl Scruggs, Bonnie Raitt, Elton John, Luciano Pavarotti, Bob Dylan and many others. First coming to national attention in the mid ‘80s as co-founder of successful country-rock act The Desert Rose Band, an eclectic array of artists such as Bonnie Raitt, Bob Seger and Barbra were drawn to add Jorgenson’s artistry to their own recordings. While a member of the Desert Rose Band, Jorgenson won the Academy of Country Music’s “Guitarist of the Year” award two consecutive years. In the ‘90s The Hellecasters gave audiences a chance to experience John’s fretboard fireworks in an unrestrained venue and the trio’s three original albums remain favorites of guitarists everywhere. Having been a fan of the Desert Rose Band, Elton John invited Jorgenson to join his band in 1994 for an 18 month tour that stretched into a six-year stint of touring, recording and TV appearances with the British superstar, in addition to collaborations with other artists including Sting and Billy Joel. 2010 marked the 100th birthday of the great gypsy guitarist Django Reinhardt. Since discovering Django in 1979, Jorgenson has become “the US Ambassador of Gypsy Jazz” which is quite an honor given the distinctly European slant of the music’s heritage. 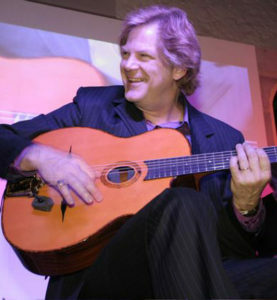 Over the years Jorgenson has continued to honor the legacy of Reinhardt by bringing his unique brand of Gypsy Jazz to the masses with his John Jorgenson Quintet. Avoid the crowds and parking hassles of other areas on the Westside. Parking is free for one hour (2 hours with festival validation) in designated structures in downtown Culver City, and dozens of dining options are available within walking distance. Culver City’s downtown area is Southern California’s best-kept secret, featuring a wonderful mix of historic buildings, boutiques, theaters, galleries, and unique restaurants opening onto tree-lined streets. The Dale Jones City Hall Courtyard is located at 9770 Culver Blvd. in Downtown Culver City (corner Culver Blvd. and Duquesne Ave.). The courtyard opens at 4:30 pm. No glass containers or alcoholic beverages may be brought into City Hall Courtyard. For more information, call Boulevard Music. Culver City’s Boulevard Music Festival is sponsored by The City of Culver City, Sony Pictures Entertainment, Boulevard Music, Culver Studios, Palm Court, Michael Morabito—Compass, John Riordan Plumbing, Culver City Volvo & Mazda, Maxam Properties, Swiss Motors, Sorrento Market, D & E Associates, Mateo’s Ice Cream, Cavanaugh Realty, Dolce Realtors, Marriott Hotel, Michael Kayem Remax, Hillside Memorial Park, LaRocco’s, Music Munchers, Culver Hotel, Dynagraphics, Culver City News, Culver City Observer, Steeldeck Inc, Eastman Guitars, Kremona USA, Ohana Ukuleles, and Ernie Ball.